We’re now just a couple of days away from Samsung’s special “Unpacked” event in New York City, in which the Korean company is expected to release its flagship Galaxy S IV device. Although we have a rough idea of what Samsung has up its sleeve in terms of specifications, there are still conflicting reports pertaining to quite a few of the details, and a new leak of a handset originating from China aims to shed a little more light on proceedings. Enveloped in a shell remnant of the Galaxy Note II, the device is said to be a test version of a dual-SIM Galaxy S IV for China Unicom, and with accompanying benchmarks touting a quad-core 1.8GHz processor and 1080p display, certainly bears the hallmarks of a release as significant as the fourth Galaxy S handset. The beefy processor and über-sharp screen are, in this case, pretty much assumed knowledge, but what’s been less clear is the shape the S IV will eventually take. 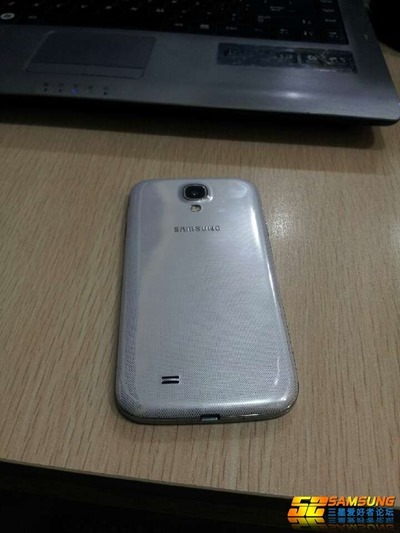 Despite the slick, aluminum unibodied HTC One, the notion is that Samsung will stick with the plastic, but where this leak looks much like a Galaxy Note II, recent case leaks have suggested a more squared-off, Galaxy S II-like design. 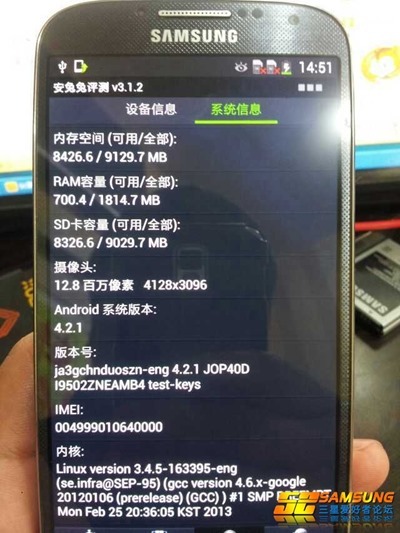 Then again, can we really expect the actual Galaxy S IV to pop up on a random Chinese forum three days before the announcement. Lest we forget, its predecessor was a scholar in the art of stealth, and although Samsung never used to be quite so secretive with regards to upcoming devices, it has now resorted to an altogether more secretive approach. Not even carrier partners were kept in the loop with regards to the Galaxy S III last year, and with that technique having worked wonders last time around, I would suspect only a select few have had a chance to see the S IV at this point in time. This leak could well be a disguised prototype, and according to Antutu, the remaining specs also seem to fit in with what we’ve been seeing of late. 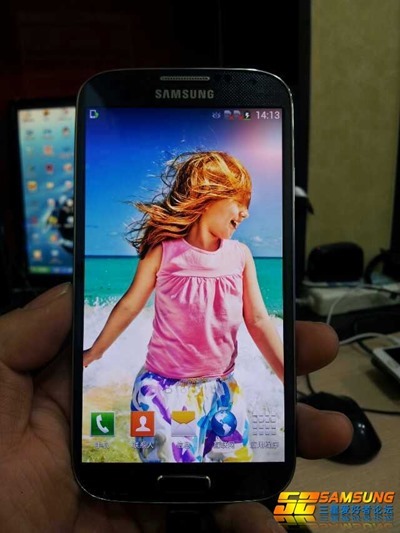 Android Jelly Bean 4.2.1, 2GB of RAM and a 13-megapixel camera are all listed, but since this is unverifiable data, it may just be another carefully-conjured bit of fakery. We’ll know more come Thursday, and Redmond Pie will have a full round-up of events in New York City, so make sure you stay tuned to our coverage!